A new method for extracting precise information from tiny “spherules” embedded in layers of rock has allowed researchers to record precise information about asteroids impacting Earth from 3.5 billion to 35 million years ago. West Lafayette, Indiana – Researchers are learning details about asteroid impacts going back to the Earth’s early history by using a new method for extracting precise information from tiny “spherules” embedded in layers of rock. “What we have done is provide the foundation for understanding how to interpret the layers in terms of the size and velocity of the asteroid that made them,” said Jay Melosh, an expert in impact cratering and a distinguished professor of earth and atmospheric sciences, physics and aerospace engineering at Purdue University. Findings, which support a theory that the Earth endured an especially heavy period of asteroid bombardment early in its history, are detailed in a research paper appearing online in the journal Nature. The paper was written by Purdue physics graduate student Brandon Johnson and Melosh. The findings, based on geologic observations, support a theoretical study in a companion paper in Nature by researchers at the Southwest Research Institute in Boulder, Colorado. The period of heavy asteroid bombardment – from 4.2 to 3.5 billion years ago – is thought to have been influenced by changes in the early solar system that altered the trajectory of objects in an asteroid belt located between Mars and Jupiter, sending them on a collision course with Earth. A 40-kilometer asteroid would have wiped out everything on the Earth’s surface, whereas the one that struck 65 million years ago killed only land animals weighing more than around 20 kilograms. “There have been some new wrinkles in vapor condensation modeling that motivated us to do this work, and we were the first to apply it to asteroid impacts,” Melosh said. The researchers also are studying a different type of artifact similar to spherules but found only near the original impact site. 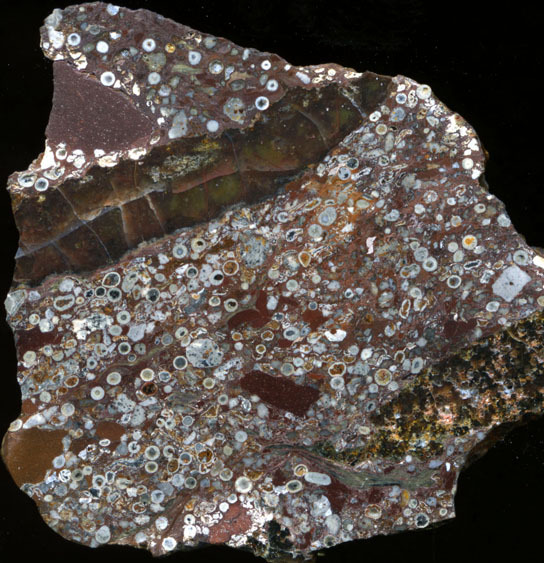 Whereas the globally distributed spherules come from the condensing vaporized rock, these “melt droplets” are from rock that’s been melted and not completely vaporized. Findings from the research may enable Melosh’s team to enhance an asteroid impact effects calculator he developed to estimate what would happen if asteroids of various sizes were to hit the Earth. The calculator, “Impact: Earth!” allows anyone to calculate potential comet or asteroid damage based on the object’s mass. Be the first to comment on "Tiny “Spherules” Record Precise Information About Asteroid Impacts on Earth"